I am not a lipstick person; I don’t think I can carry lipsticks. I prefer light lip shades and for that I use tinted lip-balms. But this time I thought of trying something new and I bought this lip liner. No I dint wanted to use it with lipstick. Now, you’ll ask me why I bought this lip-liner, well the motive behind purchasing a lips liner is to use it as lipstick. 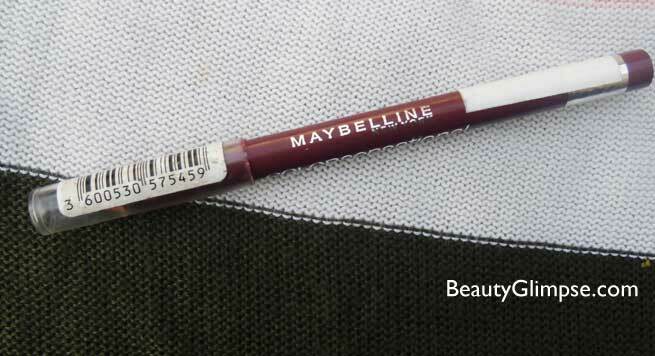 Read on to know more about this lip liner from Maybelline color sensational range. Price: Rs. 200 for 5 gms. The lip liner comes in a pencil form and I love the packaging. I prefer pencil-packaging over the retractable ones as retractable packaging are not hygienic because you keep using one tip for long without sharpening. But in pencil form packaging you can sharpen the tip every now and then, I know this leads to product wastage but hygiene is more important. The body is made of woods and it’s of the same color as the lip liner which makes it easy to identify. The pencil has a plastic transparent cap which is flimsy. Overall, the packaging is decent and there is nothing special about it. 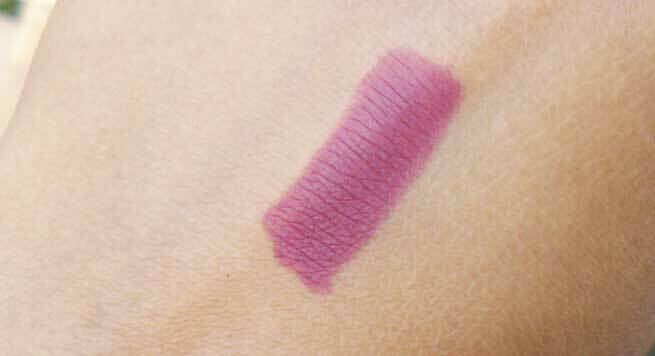 The shade is highly pigmented and one swipe is good enough to hide my pigmented lips and gives a rosy look to my lips. If you prefer dark shades then you can build the shade. The shade doesn’t look good when used all over the lips. But I exfoliate my lips really well, apply lip balm and then apply the lip liner which gives a subtle look to my lips. The staying power is average and it stays for 2-3 hours on me depending on the meals I have. Considering the price, the staying power and the formula is pretty good. Overall, I am happy with it and I recommend it to those who don’t want to spend much on lip liners. 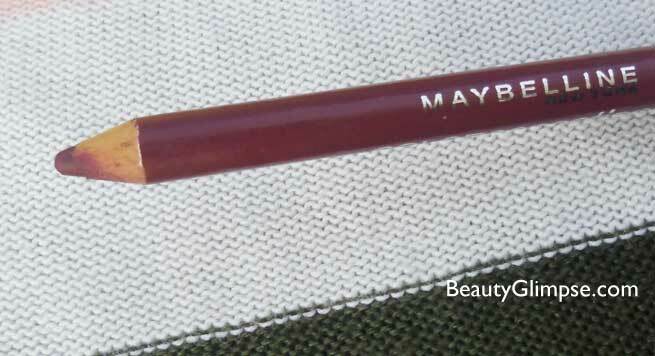 Final Verdict: This Maybelline color sensational lip-liners are really good for those on tight budget. The liners are available in many shades and the texture is creamy that glides easily on lips. The staying power is decent and it also increases the wear-time of lipsticks.